As one of the premier tourist destinations in the country, it comes as no surprise that New Year’s Eve celebrations in Orlando are on another level. No matter your taste, there’s a celebration to suit you. From magical events at our world-class theme parks to lively parties downtown and everything in between, there’s no better place to ring in the New Year than Orlando. The Masquerade at 3Nine – Located close by at our sister property, the Rosen Plaza Hotel, The Masquerade at 3Nine is the place to be if you’re looking to dress up and welcome the New Year in style. You’ll be immersed in music and luxury at Orlando’s premier entertainment venue – complete with a chef-inspired menu and poolside patio. New Year’s Eve at Magic Kingdom – A magical mixture of festivities await you at the Walt Disney World Magic Kingdom. Get 2019 off to a great start with live entertainment, dining, dancing in both the Frontierland and Tomorrowland areas of the park, and an awe-inspiring fireworks display like no other starting at 11:50 p.m.
New Year’s at Rosen Shingle Creek – For an upscale New Year’s evening, look no further than the celebration at the Rosen Shingle Creek resort. 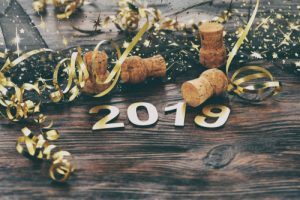 Packages start at $201.90 per person, which includes a room for the night, breakfast for two at Café Osceola, tickets to the exclusive New Year’s party at the Headwaters Lounge, and discounts on golf and spa treatments during your stay at Shingle Creek. Click here for more information. New Year’s Eve at Universal CityWalk – CityWalk’s annual New Year’s Eve celebration – dubbed “EVE” – is advertised as “The best party this year. And next.” Guests are welcomed by unlimited gourmet foods, an expansive outdoor dance floor, and access to six exciting CityWalk nightclubs to dance the night away. Top it all off with a fireworks display and champagne toast at midnight. These are just a few of our favorite upcoming New Year’s Eve celebrations among the nearly limitless options to pick from here in Orlando. No matter how you decide to ring in 2019, you’ll be able to do it in style here in The City Beautiful.